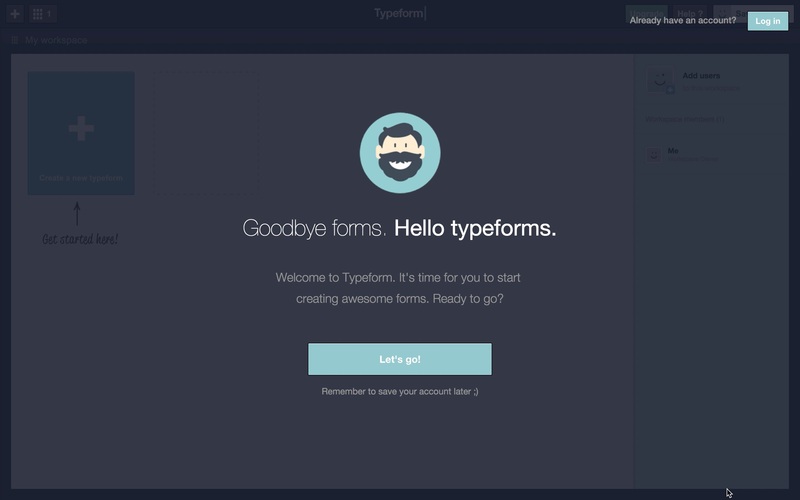 Typeform is one of the hottest startups in Europe right now. And they’ve achieved such growth with no paid acquisition or sales team. 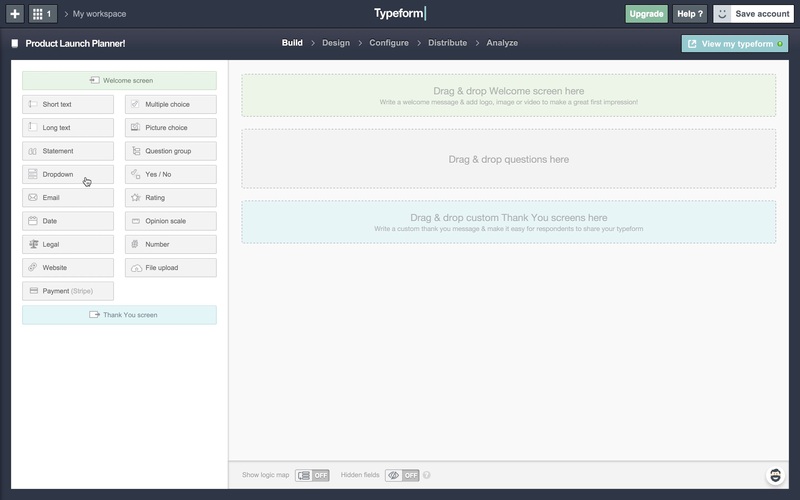 If you’re unfamiliar, Typeform creates online forms for anything from surveys to online registrations and questionnaires. It’s like Google Forms on steroids; the UX and flexibility of a typeform is 10x greater. 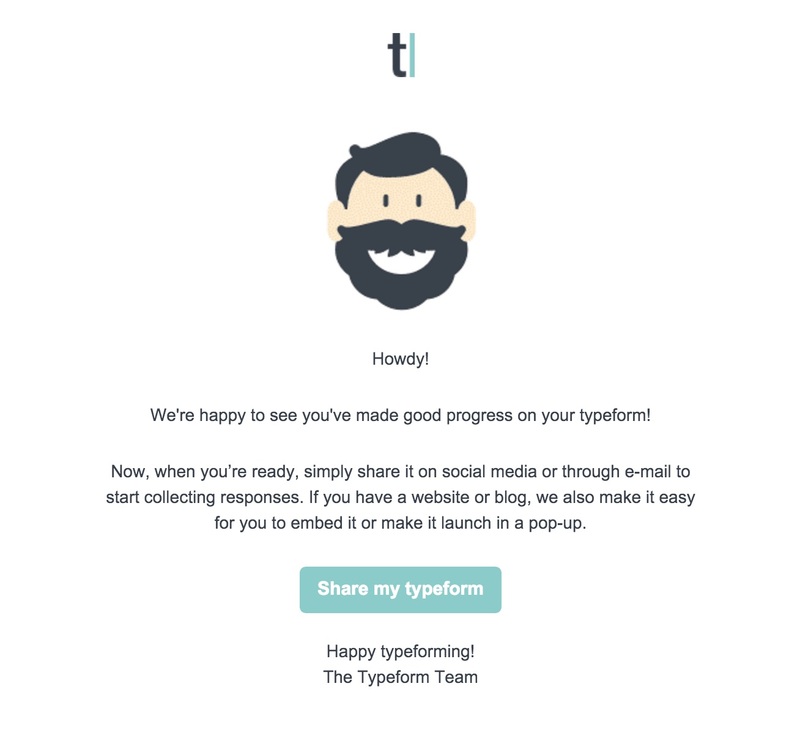 My experience with Typeform began after filling out a typeform survey for another company. I saw a CTA to create my own survey, and having picked up on the positive buzz around the software in a Slack channel, I decided to give it a run with no particular goal in mind. Flash forward one week later, and we’re now using a paid Typeform plan at Appcues to collect inputs for an MVP version of our Product Launch Planner Tool. I wouldn’t have tried building a typeform had I not stumbled upon someone else’s typeform survey. Because Typeform is a product that gets shared, there is a natural opportunity to create a viral loop somewhere within that motion. This style of typeform CTA is only for freemium users. Paying for an account brings the CTA to a slightly less obtrusive position in the bottom right corner of the final step, or allows you to remove it entirely. Great user onboarding gets you to your WOW moment of first value as soon as possible. Typeform accomplishes this by knowing where to help and where to get out of the way. Typeform gives just enough guidance to orient and motivate their users. And then they know when and how to get out of the way. The guidance begins with a welcome message, followed by a few coach marks to point the way. And that’s pretty much the extent of their involvement. The product’s UI makes much of the rest self-explanatory—their breadcrumb menu helps a lot for this. This balanced approach allows new users to create survey forms for the first time in about 5 minutes or less. 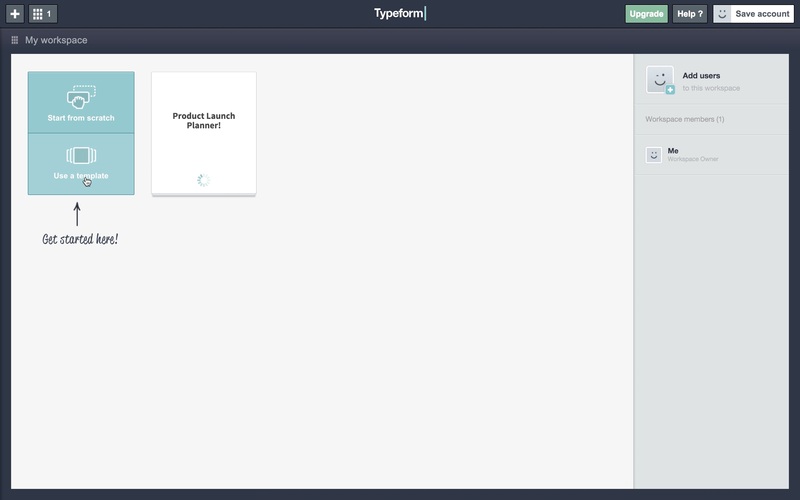 The Product Launch Planner typeform we used probably took me 10 minutes in total. That time includes going back with a credit card to upgrade. 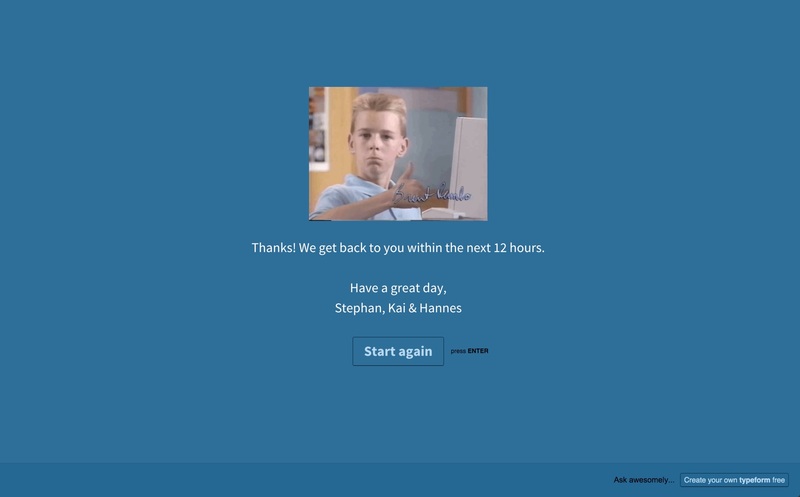 To make this viral loop work even better, Typeform uses a process that has come to be known as automagical registration, where they automatically get new users into the product without requiring a signup form first. They then ask for the users’ information—as a means to save their account—for later. Once users click “Create a typeform” from the end of someone’s survey or from their public website, they are immediately injected into the product. Automagical registration is a brilliant way to get users to try your product without the friction of a signup form. You’ll certainly increase the number of people that see and try your app by eliminating the form step. It might be best for products with great user experiences. The trick to the automagical registration technique, of course, is providing users with enough value to end up officially creating their account after entering your product. If they bounce, you’ll have to rely on them coming back organically; you don’t have any information captured for re-engagement. Typeform does a great job getting users to officially register with a few tactics. 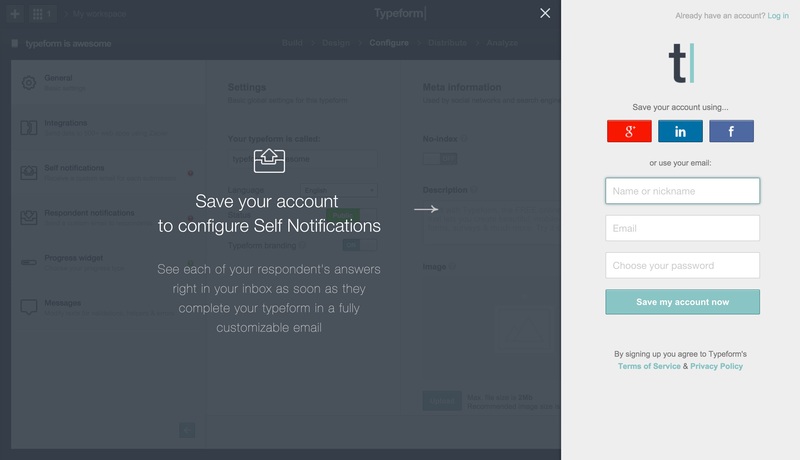 Typeform uses a blinking “save your account” button to remind users of the option. See the top right corner in the image below. Typeform injects its users straight into the product, exposing them to as much value as possible, as quickly as possible. After the initial engagement, they use a soft-sell approach by introducing save-walls for the users’ benefits and displaying blinking reminders to sign up. At this point, it may be safe to assume the user is getting value out of the product. It might even be wrong of Typeform NOT to encourage users to save. So they make sure to actively remind them. The registration form appears when users click to create new response notifications. It also appears when a user clicks the Typeform distribution step. These are practical places to insert their registration step. These steps come right before a user has ultimately reached their first-run goal. They’ve created their form and are ready to share it with the world, and BAM! Registration form. Typeform has a number of well placed paywalls to take users from free to paid subscriptions. 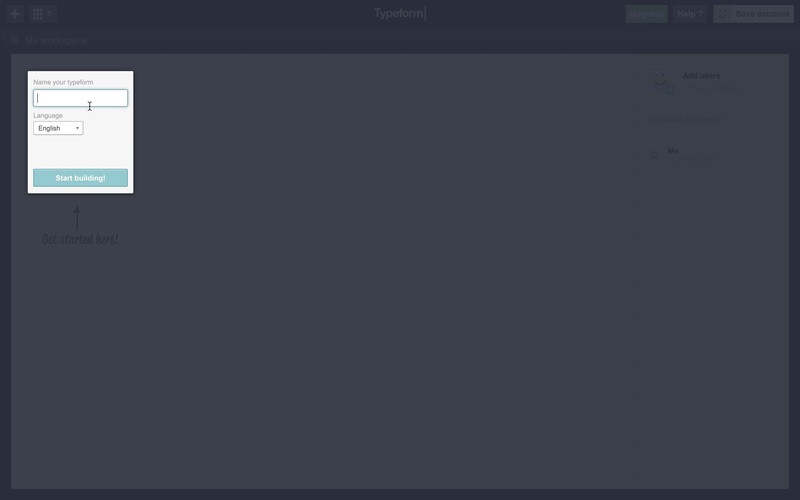 By putting paywalls around sensitive but non-essential features, Typeform probably gets a lot of upgrades without sacrificing too much of the usability of their freemium plan. One such paywall appears when users customize the thank-you message, which appears when someone completes a survey or other Typeform. The thank-you message is not an essential data collection point, so the timing for this paywall is strategic, utilizing an upgrade technique that’s not going to aggravate too many users and send them scurrying. 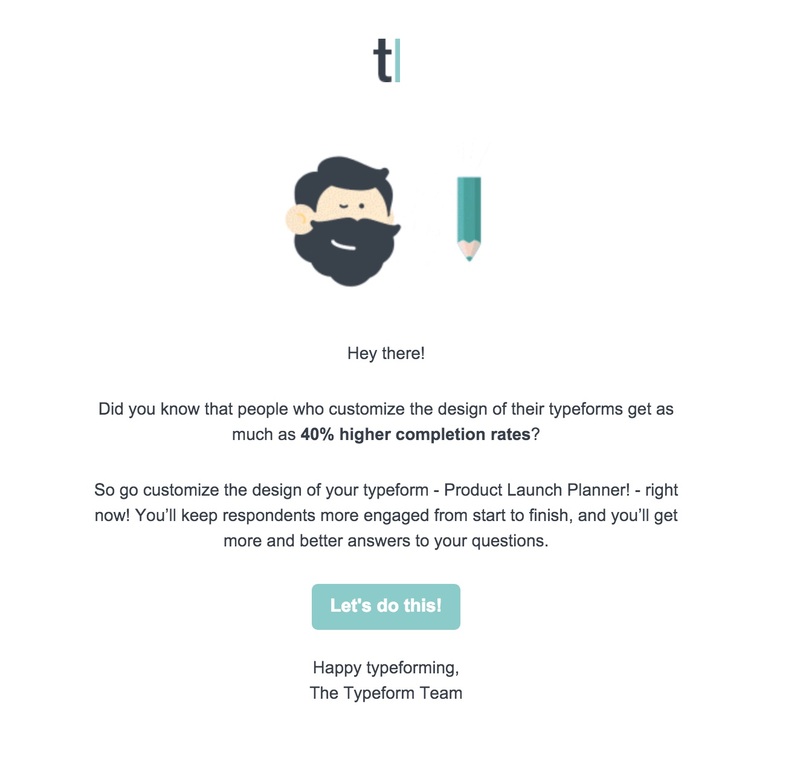 Here’s how Typeform hits users with that paywall. One last effective paywall appears when adding a field to set up payment processing. Typeforms can integrate the company’s Stripe account with registrations for paid events to accept the payments. Because a direct monetary gain is attached to the typeform, this is another natural place for a paywall. It’s inevitable that users will get stuck in certain states throughout their lifecycle. And as we know, it’s especially critical to maintain momentum during a user’s first-run experience. Typeform has some obvious steps for form creation laid out like breadcrumbs in their app. For each contiguous state of the lifecycle, when users are proceeding from one step to the next, there is sure to be some risk of churn and drop off. Both of these emails encourage lapsed users to take the next logical action with their typeforms. The CTA “Share my typeform” makes that explicitly clear. The emails also do a nice job giving motivation to each user through curiosity, flattery, ideation, and encouraging language. For a company without paid acquisition or a sales team, Typeform has powered themselves to the forefront of SaaS businesses with excellent user onboarding. Because typeforms are self-perpetuating a viral loop with embedded branding and CTAs, the more users that successfully create distribute their typeforms, the more organic viral potential the product has.